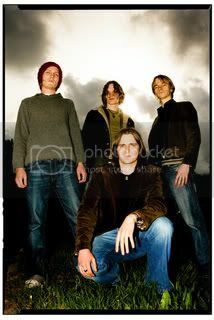 A couple of weeks ago I did a shoot for local band, Animotorso and had a bit of a nightmare with my compactflash card. Three quarters of the way through a 2 and a half hour shoot the card malfunctioned and my camera was telling me there were no images at all on the card! Luckily I did manage to retrieve quite a few but it made me realise just how careful I need to be with these cards. I think using several smaller cards is advisable rather than using a bigger card. This was a 4GB card. Imagine if I’d been shooting a wedding and lost 4GB worth of shots from the day! I don’t even wanna think about it. 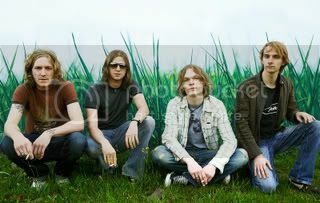 The backdrop of the grass is just part of a billboard situated next to a busy road in Birmingham, but by avoiding the words to the top and left of the picture we created something quite unique and definitely different to your typical band photo. The light was great here and I’m really pleased with the end result which needed virtually no editing in Photoshop. This one hasn’t had much Photoshop work done either. The effect was created in camera by underexposing to bring out that amazing sky and then using fill-in flash..